I love being the mother to three sons. I am thrilled to be the wife of Bill—going on 39 years now! 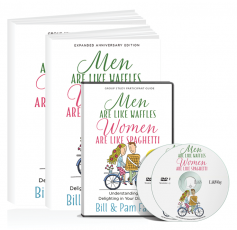 And a great, surprisingly wonderful gift, dropped from heaven is our book, Men Are Like Waffles, Women Are Like Spaghetti that has been translated into more than 15 languages. 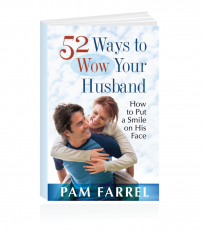 I have so enjoyed traveling the world, encouraging women to appreciate and value themselves—and the men in their world: husbands, sons, dads, friends and extended family as well as those males they work with. Because we are different right down to our hormones and DNA, it is wise to learn to live with, value and appreciate the men of our world. Now there are many ways to educate women on the differences between the genders: you can take the formal, higher education route (and our book has loads of footnotes, so we did our homework); you can take the Biblical route (and we carefully exposited scripture as well in Men Are Like Waffles, Women Are Like Spaghetti); You can share practically (which we do plenty of with real life stories, examples and illustrations), or you can use some humor to make it more memorable! 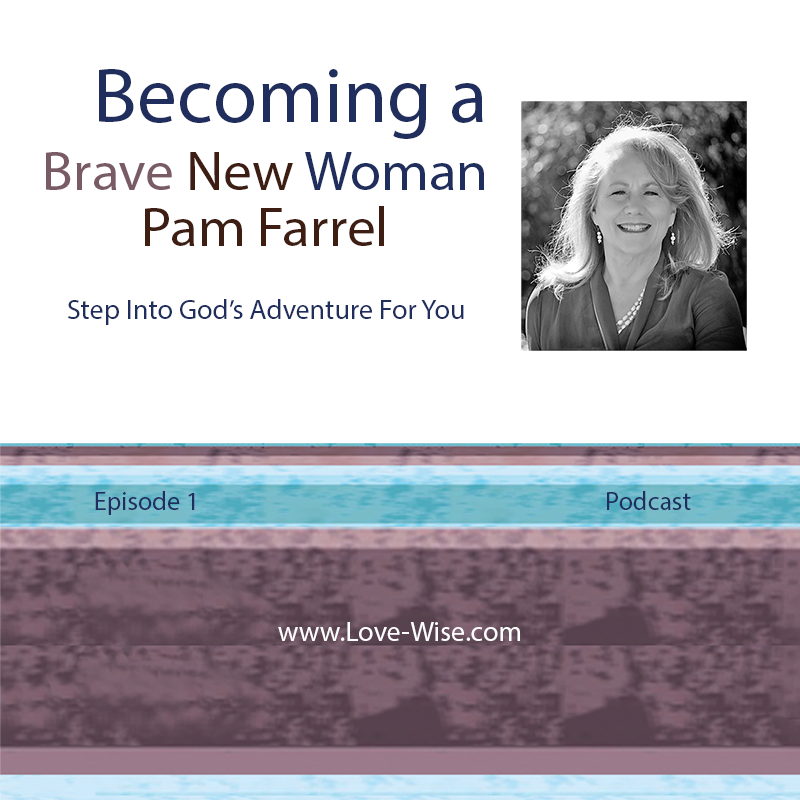 I am excited to announce that a new podcast is now available, Brave New Woman, where I help women discover their God-given adventure. In episode 1, I use plenty of humor because when we laugh—we learn! So what do our differences have to do with being brave? What does this have to do with living out God’s adventure for your life? Well, if you would have asked me, when I was a little girl, to picture my future career path or how my days might be filled, never in my wildest dreams would I have guessed that God would call me to write 45 books, travel the world speaking, teaching, and equipping people to “Live Love-Wise”. But that is who God is. He dreams bigger dreams for our lives. God believes in the gifts He has placed inside each of us. He empowers us to live out HIS panoramic view of our lives. His calling and vantage point of our lives is a gift He is holding out to each of us—if we will only be brave enough to receive it, believe it, and walk in it! Episode 1 of the podcast is available to everyone. It is the fun-filled introduction and it includes just a snapshot of our bestselling Men Are Like Waffles, Women Are Like Spaghetti. But my hope is that it will cast a vision for you—of just how BIG a vision God has for YOUR LIFE as well. If you would like to listen to all the episodes, sign up for a Love-Wise Living Digital membership to receive the next podcast installment as soon as it is released. Just $1.98/ month gets you ALL the regularly released podcasts of both Pam and Bill. The material is also available as a Brave and Beautiful women’s conference CD series based on my book Becoming a Brave New Woman. 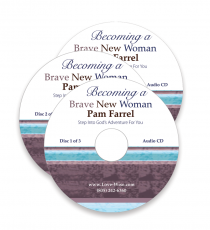 You can, therefore, purchase the Becoming a Brave New Woman book and/or the Brave New Woman conference CD set. I also created a Brave New Woman Small Group Discussion Guide (included in all paid memberships) if you would like to take a small group of friends through the material in your women’s Bible study. It is my hope you will go to our membership page and select a membership level that best fits your life so Bill and I can keep encouraging, equipping and enriching your life. I want to help you become courageous and confident in who you are and how God made you so you can be braver in the calling and gifting God created for you to walk out! This world needs more God-honoring, brave, courageous, confident women!